Gotta dump her before he gets $100M! 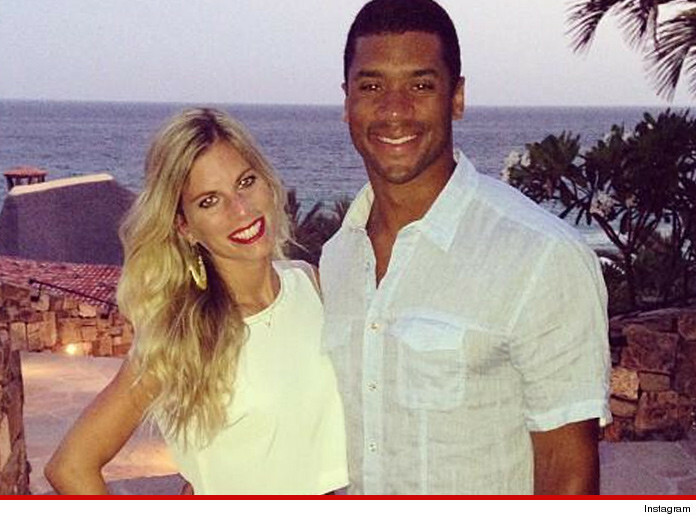 Seattle Seahawks QB Russell Wilson is filing for divorce from his wife Ashton ... after 2 years of marriage. Wilson just made the announcement, saying ... "I have made the difficult decision to file for divorce. Clearly, decisions like these don't come easy." Russell and Ashton have known each other since high school in Virginia -- and they started dating during their college years. They got married in January, 2012 ... just a few months before Russell was drafted by the Seahawks. The divorce is kinda shocking ... considering the couple did a ton of charity work together -- often visiting children's hospitals during his Super Bowl winning season. Wants to sow his seeds in more fields than 1. Oh I'm sure her lawyer will see to it she gets a nice piece of that $100 mil. Alimony covers future earnings? Christ. Men get screwed so bad these days. I think it depends on the circumstance and state. She reported that he had all of the tools and great mechanics, but he just wasn't big enough. She shacking up with Geno now? Yeah isn't child support always a % of income? Look at that face... ****ing psycho! Yes, and will change as income changes. why do you all hate white women?